We know you know it. You’ve heard of it, passed through once, cheered on a famous sportsperson from there, it’s where your best friend’s cousin grew up. We challenge you to travel the world and not find one of us. Someone the place named twice hasn’t touched. Someone who hasn’t passed through, ventured, visited or made a life under the blue, blue sky. It’s a common question we hear. We’re big enough to be urban, in a landscape big enough to let us be country. 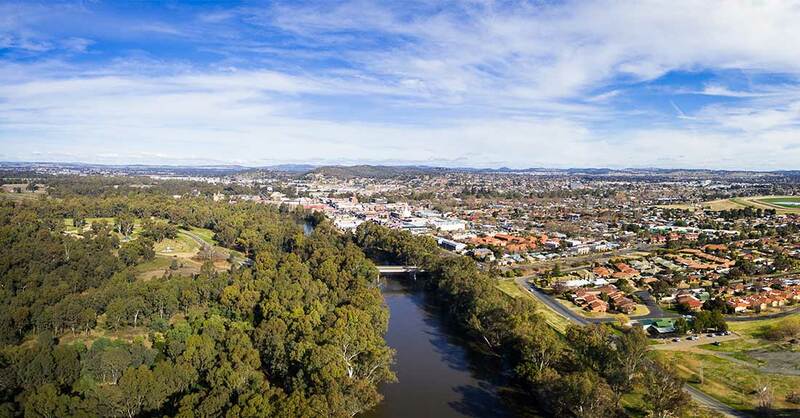 More than 65,000 of us call Wagga Wagga home – yep, that’s why you always run into one of us. Wagga Wagga is the place where paths cross and people meet. It was that way with the Wiradjuri people as they travelled the region following the cycle of ceremonies and seasons. With major transport routes, easy access to large metropolitan areas, plenty of industry and a large education sector it remains that way today. Perhaps Wagga’s most famous attribute is its name, like having the Bono, Cher and Madonna version of a place name. It’s fun to say, because you say it twice – a reference to the Wiradjuri language custom, until you’re on friendly terms, and then you can just say ‘Wagga’. Our proper, professional, legit name is ‘Wagga Wagga’, but the locals just call it ‘Wagga’. Pay us a visit and we just might let you as well! We know the next question you’ll ask – “How do you say ‘Wagga’?”. Well, if you trade out the first ‘a’ for an ‘o’ sound you should be just about there: Wogga Wogga. The name of the city is derived from the language of the Wiradjuri nation, which was the biggest Aboriginal tribe in New South Wales, embracing the Riverina area. "Wagga", "Wahga" or Wahgam" in Aboriginal dialect means "crow". The repetition of a word was the method of expressing the plural or emphasis, thus Wagga Wagga means "crows" or "the place where crows assemble in large numbers". The Murrumbidgee River which runs through the city also derived its name from the Aboriginal language and means "plenty water" or "big water". In Wagga Wagga, we've got sport in our blood. Known as the "City of Good Sports", many of Australia's sporting heroes hail from the regional city of Wagga Wagga, including former Australian cricket captain Mark Taylor, rugby league great Peter Sterling and AFL legend Paul Kelly. Find out more at the Wagga Wagga Sporting Hall of Fame, part of the Museum of the Riverina's Botanic Gardens site. Captain Charles Sturt first charted the waters of the Murrumbidgee River in 1829, passing the future site of Wagga Wagga. His name can be seen throughout the city on our university, and even a motel! Read more about the history of Wagga on the City of Wagga Wagga website. Wait, didn’t Wagga have something to do with a chicko roll? Yes, our pride and joy! The Chiko Roll made its first appearance at the Wagga Wagga Show in 1951. It was inspired by the Chinese spring roll and was designed to be eaten with one hand. The Gold Chiko Roll is part of the Museum of the Riverina’s collection, it is usually on display at the Botanic Gardens site but we suggest calling ahead to check before visiting.